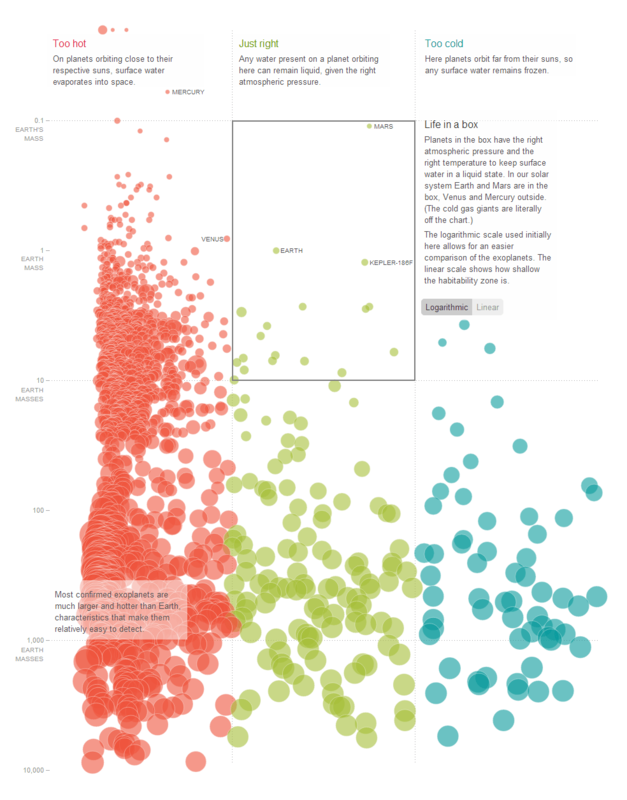 Today the National Geographic released an extremely interesting infographic on exoplanets. It shows all 1000 confirmed planets and 700 validated Kepler Candidates and their vital statitistics. The x-axis gives the amount of light from it’s star, the y-axis has mass, each planet’s radius can be seen from the size of each point and the clickable version even displays each planet’s name. Most prominent on the diagram is the Goldilocks square containing a handful of exoplanets “just right” for life along with Earth and Mars. As an infographic it is a beautiful and succinct way of showing what we know about planets around other stars. It makes two key facts about exoplanet detection plainly obvious: that most of the planets we currently know are big and hot; and that despite these limitations we are gradually pushing towards the detection of habitable, Earth-like planets. 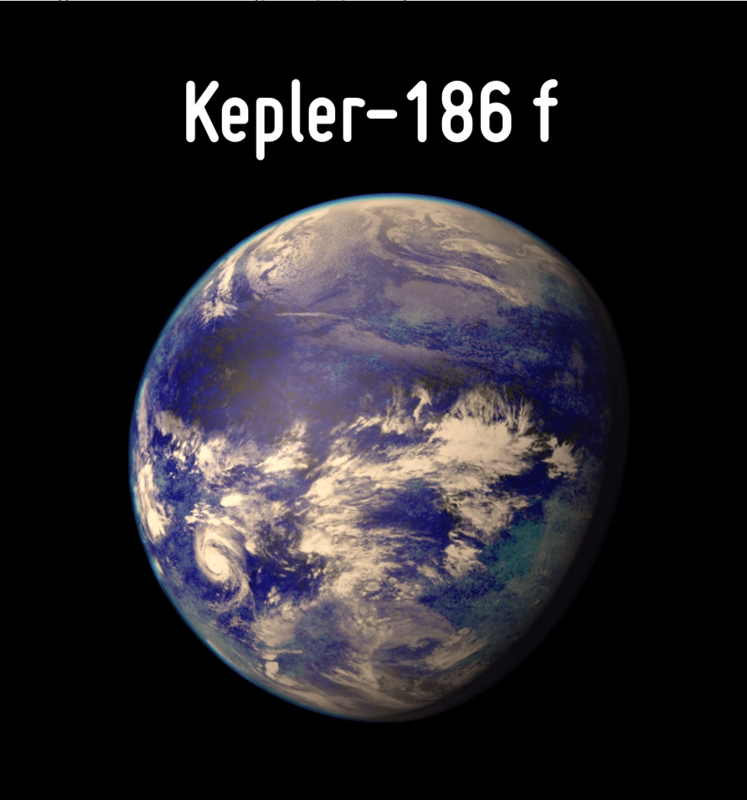 The position of newly-discovered Kepler 186f, a centimetre or so to the right of Earth, is testament to that. But how does the science itself hold up? Well, as any good science teacher will say, always label your axes and use error bars. But we can let that slide as it is an infographic and not an undergraduate project. How about the position of each point though? 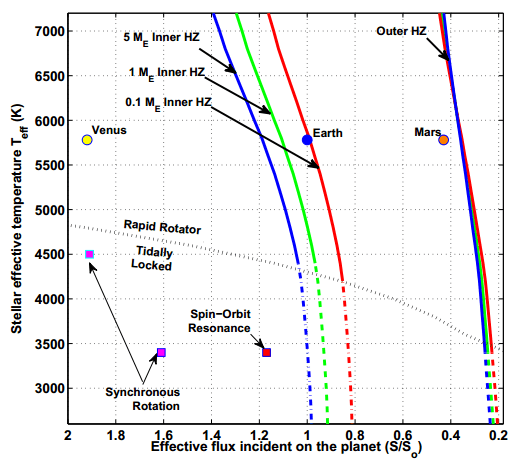 Well, the graph uses planetary mass as y-axis parameter. However for almost all of the low-mass planets displayed (ie. the Kepler candidates) the mass is almost completely unknown. All is known is the radius, and this can be used to give a rough estimate of the mass. And when I say rough, I mean extremely rough. For each radius value selected, the range of potential masses varies by more than 3 Earth masses even for Earth-sized planets! That could push a planet currently within the “Just right” square such as Kepler 283c into the ‘too large’ area and vice-versa. Even that box should not be taken as given. The idea of a habitable zone varying with its distance from a star makes sense: too hot and water begins to boil away. Too cold and it freezes. But there are a huge number of things that could change those limits including tidal locking, atmospheric composition, surface reflectivity, atmospheric density, etc. To account for all of these is almost impossible, and to plot them all on a 2D plot certainly is. Current models (and the vertical lines you see here) get around this by assuming almost every parameter is Earth-like. For different sized planets, or those with unusual atmospheres, that assumption could break down (although work is certainly being done). The habitable limits of planetary mass are even more like guesswork. Certainly, gas giants and tiny asteroids would appear less habitable than Earth mass planets, but the position of the limits at 0.1 and 10Me are arbitrary. There is no real reason why a large super-Earth or small sub-Mars could not support life, and certainly very little science has so far been done on this area so far. So, despite displaying the main information well, this infographic gives the impression that we know a lot more than we actually do about both the limits of life and the characteristics of the planets that could hold it. But, as was pointed out on twitter, this is not a scientifically published figure, but an infographic. It is something designed to spread knowledge in its simplest, uncomplicated form. And for that, it is fantastic. For 4 billion years our planet has been a willing host to life; nurturing it as it evolved from the first primitive single celled organisms through to large, intelligent life forms such as ourselves. Over time our sun, too, has evolved; growing in brightness by perhaps as much as 30%. And someday in the distant future Earth’s long glorious summer will end; our fuel-hungry sun glowing ever brighter until the planet we call home is scorched beyond recognition. That is certainly a disappointing conclusion for us Earth-dwellers, but not exactly the one myself and colleagues at the University of East Anglia came up with in a paper published in Astrobiology this morning (despite the mainstream news outlets you might have read). The slow expansion of our sun has long been predicted by astrophysicists, who revealed the clockwork of stellar evolution as far back as the 1970s. Other developments in the 1990s confirmed this by estimating the range of distances from the sun (and hence temperatures) over which an Earth-like planet would retain liquid water at the surface. The idea of this Habitable Zone has since been the go-to tool for assessing whether a planet could support life, and for as long as it has existed it has been known that the Earth is edging closer and closer to the too-hot-for-life ‘inner edge’. By the time Earth is toast, our blue planet will have dwelled for between 5 and 7 billion years in this glorious goldilocks zone. 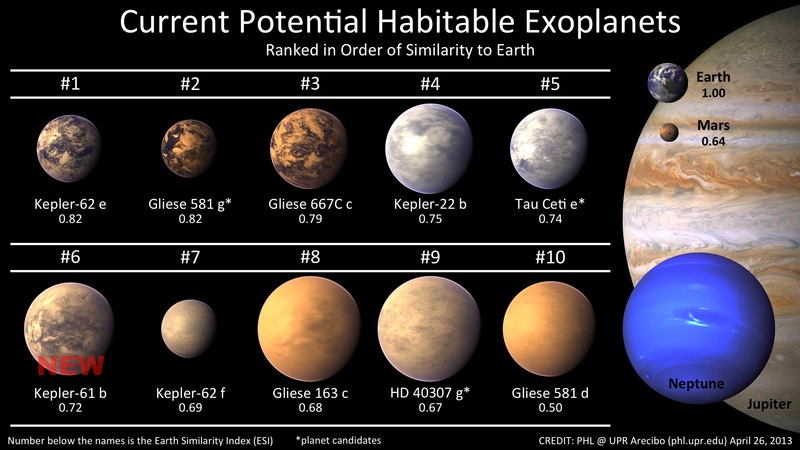 This is the Habitable Lifetime, and by anyone’s standards it is astoundingly long. Without it, life on Earth would have never had time to evolve from inorganic soup into the wonderful range of complex and intelligent creatures we see today. But Earth is not the only potentially life-supporting planet out there, and instead our research was focused on how long these other planets might remain habitable. Before the sun had brightened, Venus may have enjoyed 1.3bn years of balmy temperatures, while Mars may spend a few billion years bathing in similar sunshine near the end of the sun’s 10bn year lifetime. Almost 1000 alien planets have also now been found including a handful near their star’s habitable zone, not to mention a further 3000 Kepler candidates waiting in the wings. Computing the habitable lifetimes of these exoplanets is a more difficult task, however, as every star evolves at a different rate. Luckily stars only change brightness based on one thing: their size, and this can be found for the majority of stars. 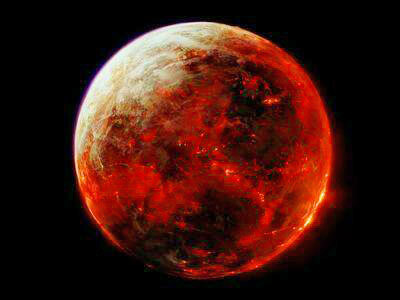 The 34 planets produce a large range of habitable lifetimes from 0.1 to 20bn years. One particular case is Kepler-22b which will remain in the habitable zone for 4.3bn and 6.1bn years; almost the same as Earth. 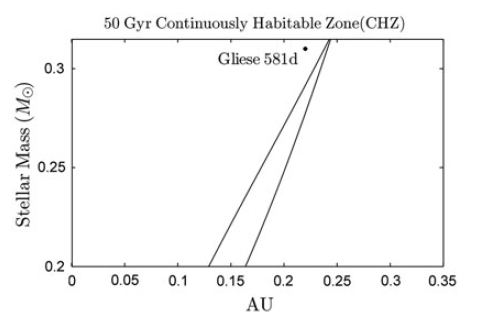 However, for the planet Gliese 581d things get a little interesting: it has a habitable zone lifetime of around 50 billion years! That is more than 10 times the age of the Earth and almost 4 times longer than the age of the universe. This unbelievable timescale is due to a simple quirk of nature. While the brightest stars live fast and die young, some of the smallest stars can survive for hundreds of billions of years; dozens of times older than our sun will ever manage. What’s more these small stars evolve extremely slowly, allowing a well-placed planet to be habitable for much longer than planets in our solar system. If Earth could allow such a plethora of unique and complex species in only 4 billion years, imagine what could happen on an earth-like planet similar to Gliese 581d with 50 billion years of summer? What all this goes to show is that we already know of places in the universe where life may be able to take hold and survive for billions of years. Some of these planets may be lifeless until long after the Earth is toast, only to warm up and spend 50 billion years in the planetary sweet spot. And even in our solar system life-friendly temperatures may have existed on Venus and may yet occur on Mars, springing new possibilities of life. As I’m sure you’ll agree; that’s a much better message to spread than ‘The Earth is Doomed’. PS: This was the first scientific paper ever to be published with my name on. To be able to write “myself and colleagues at the UEA came up with in a paper published in Astrobiology” and to say my handiwork is currently being studied by readers of dozens of news outlets makes me as giddy as a small child on christmas. PPS: My contribution to the paper was to take complex models of how all stars evolve and produce a mathematical function allowing the luminosity for any time period and any stellar mass to be immediately calculated. This is the first step to working out how the habitable zone migrates and hence the habitable lifetime of any planet sat in it’s path. The majority of the work was performed by Andrew Rushby (who wrote a similar blog today) and Mark Claire, both of whom I am incredibly grateful to for the chance to be involved in this work.